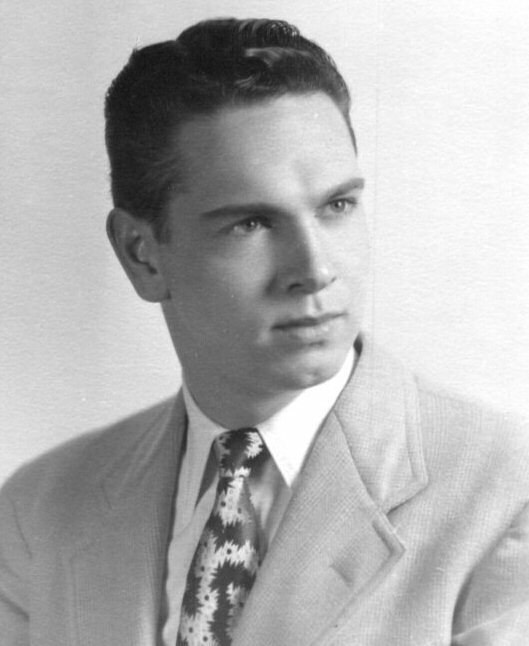 OSWEGO, NY – John H. Bond, 87, of Oswego, passed away Monday morning April 6, 2015, at St. Luke Health Services, Inc. He was born in Oswego and was the son of the late Harold and Marie Doran Bond. Mr. Bond is survived by his wife of 59 years, Elaine J. Reap Bond. He was a Korean War-era veteran serving in the 707th Antiaircraft Artillery Gun Battalion of the Third Army. He was a graduate of the State University of New York at Oswego and attended the Maxwell School of Citizenship at Syracuse University. He taught English and history for many years in the Fulton and Oswego school districts. He was recognized in 1985 with The Senior’s Choice Most Dedicated Teacher Award. Mr. Bond was a master teacher of dog obedience classes for many years. In addition to his wife, he is survived by four daughters: Susan Bond of Syracuse, Carolyn (David) Thompson and Sharon J. (Tony) Bonacorsi both of Oswego and Terri Lee (David) Dean of Camillus; and seven grandchildren, David, Bryan and Michael Thompson, Nikole and Nick Bonacorsi, Allison and Bayleigh Dean. He was predeceased by his brother, Robert Bond; and his sister, Mary Bond. Calling hours will be held Friday 4-7 p.m. at the Dain-Cullinan Funeral Home, 112 E. Second St., Oswego. A celebration of Mr. Bond’s life will follow at 7 p.m. at Dain-Cullinan. Private burial will be in Riverside Cemetery. The greatest teacher I ever had. I have so much respect for this man. I am sad to hear of his passing. My thoughts and prayers are with his family during this difficult time, RIP Mr Bond. Mr. Bond was my 8th grade teacher. .he was one of very few who brought history to life. Many fond memories. May he rest in peace. To his family. .my sincere condolences.